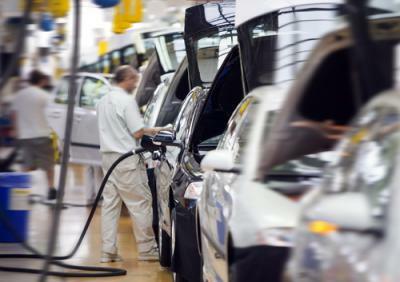 There has been a lot of justified happiness over the resurgence of the American auto manufacturing business. American manufacturers for some time have been dedicated almost exclusively to trucks and SUVs and yet Ford is making a bold step to re-enter the luxury car market on a level to compete with Lexus, BMW and Mercedes. Ford intends to bring back, of all things, the Lincoln Continental. The Continental last appeared in 2002 and was known as the car that carried US presidents in their official motorcades. Ford has also long been associated (at least in the US) with fleet vehicles like taxis and police cars. It turns out that the new version of the Continental is not geared for the US market, but rather towards the rapidly growing luxury car market in China. Chinese consumers do not carry the same brand associations, so by building a new vehicle with a new consumer in mind, Ford believes it can succeed with a highly profitable, high quality product. If only banks could roll out something that did well in the past to a new group of appreciative customers and make a profit to boot. It is not getting any easier to manage funding and liquidity in this business cycle and driving customer behavior through product choices, as opposed to by interest rates, is particularly challenging. On one hand, it seems like short term interest rates may be about to rise, but there is also economic data that would suggest otherwise. Banks have to be prepared for either possibility and this creates a quandary for deposit committees. At the same time, regulators are asking banks to measure and assess their liquidity risk in a rapidly rising rate environment, with stresses beyond what seem reasonable given today's economy. Deposit committees should regularly discuss not only rates on CDs and money market accounts, but bank products themselves. This discussion should include how products are presented to customers because deposit products do not act the same, nor do they have the same interest rate sensitivity characteristics. Consider that if a bank is pricing along the national average curve, then one of the primary determinants of deposit costs will be its deposit mix. A bank with 20% of deposits in CDs should have a much different experience than a bank with 50% CDs, for example. It doesn't always work out that way though, because some banks price their checking, savings and MMDAs aggressively. This just turns those deposits into liquid CDs. Just because a product has a certain label does not necessarily mean it actually has the rate and sensitivity characteristics of that product type, so care must be taken. Consider also that national average rates can be deceiving for certain deposit types, because few banks manage to attract longer-term CDs by pricing at the national average. To induce depositors to forego access to their money for multi-year periods, banks typically have to price near or above the rate caps. For that reason, banks that are cognizant of their funding and liquidity costs generally do not want much volume from these products and price them accordingly. While banks are unlikely to be able to find a whole new market like Ford selling luxury cars abroad, bankers would be served well to make sure their deposit strategy makes sense alongside everything else in the bank. You have to consider policies, business models, local competitive issues, growth needs and overall goals to propel the bank to a prosperous future. Yields rose 5bps as a selloff in German Bunds had a ripple effect upon Treasuries. Concerns over an economic slowdown in China has yields up 2bps this morning. 1) United Community Bank ($7.5B, GA) will acquire The Palmetto Bank ($1.2B, SC) for $240.5mm in cash (30%) and stock (70%). 1) Union First Market Bank ($7.3B, VA) said it plans to close 7 branches (about 5% of its network) following an in depth analysis of profitability and market opportunity. 2) South State Bank ($7.8B, SC) said it will buy 12 branches in SC and 1 in GA from Bank of America for an undisclosed sum. The branches have about $580mm in deposits. Google has confirmed it will use multiple bank partners to allow monies left on Google Wallet to be insured by the FDIC on an as agent, pass-through basis. Google will be required to tell users what bank the money is in and it is unclear whether the deposits would be considered brokered. Apple and PayPal are expected to soon counter. Reuters reports SunGard Data Systems is exploring a possible sale of the company after being approached by another company for a possible takeover. Former Fed Chair Paul Volcker has proposed an overhaul plan that he says would remove regulatory inefficiencies and better protect the financial system. Volcker proposed eliminating the OCC, combining the SEC and the CFTC, make the Fed responsible for rule making and the FDIC responsible for winding down troubled banks. The FDIC has proposed new requirements for the 37 largest banks to improve internal record keeping and data systems to track deposit accounts. The FDIC is taking the actions in an effort to ensure that in the event of a large bank failure it has quick access and understanding of all of the details of deposit accounts. Bloomberg reports the Fed is reportedly considering expanding a current 1Y ban preventing bank examiners from shifting over to the banks they supervise. Fed Boston President Rosengren said the Fed may need to delay raising interest rates if economic data doesn't pick up in the coming months.